Paris Retail Week will present from 19 to 21 September all of the sector’s latest trends. Several renowned industry leaders are lined up to speak at this 2017 show through a range of conference formats. The leading event for the European online and offline retail community, Paris Retail Week will present from 19 to 21 September all of the sector’s latest trends. Several renowned industry leaders are lined up to speak at this 2017 show through a range of conference formats. Visitors will have plenty of opportunities to discover concrete solutions to optimise their activities and enhance their skills throu.gh best practices or training. A roundup of the unmissable events of Paris Retail Week 2017. More than 200 freely accessible conferences are scheduled for Paris Retail Week, including Plenary Conferences, Keynote sessions, Academies, Special Sessions and Solutions Workshops. Live Retail, success stories, artificial intelligence, virtual/augmented reality, business meetings and training represent just some of the content visitors can discover over the course of the three days. The Plenary Room will be equipped with a simultaneous translation system to allow international attendees to follow the conferences in English. Headsets will be available at the entrance of the room. Live Retail – The new paradigm in retail? Paris Retail Week 2017 is devoted to Live Retail. 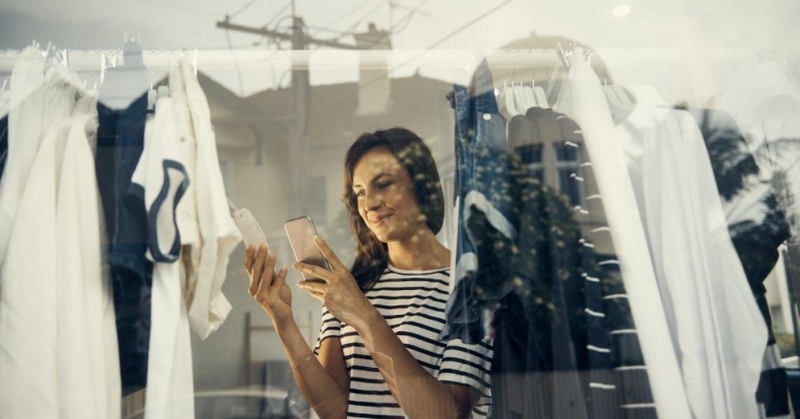 Today, thanks to new technologies and data, the consumer and brands are establishing a new relationship based on complicity and commitment resulting in an authentic, human retail experience, anytime and anyplace. Retail revolution: What are the latest trends coming from the USA? Trusted Shops is organising a keynote presentation on the challenges of the customer relationship with several key retailers - Marketplace, ventes privées, e-shop: how do they maintain their customer relations? – Wednesday 20 September – 2:00 pm to 3:00 pm – Plenary room. Speakers include: Jean Marc Noël, Founder & CEO Trusted Shops, Rachel Bouvier, Head of CRM Showroomprive.com, Manuel Lengenfelder, Head of E-commerce, La Boutique du Petit Prince, Matthieu Fouchard, Founder, Les Bretelles de Léon and Guillaume Rouby, Head of Marketing Back Market. This year, Paris Retail Week is giving visitors the chance to test new, innovative technologies with activities and services based around artificial intelligence. A virtual visit of a store with an HTC Vive headset: thanks to virtual reality, it is possible to visit a whole store, get up close to the products, pick up additional information, etc. An idea for small stores? The augmented reality test with HoloLens goggles (Microsoft): it is now possible to integrate virtual objects into reality. In addition, and for the first time at a show, Paris Retail Week, in partnership with the start-up BotSpell, will provide a visitor help service with a chatbot which will be able to give visitors an immediate response to questions such as: What time is the live retail conference? Where can I get something to eat? Which exhibitors are in the logistics area? To use it, visitors just need to go to the show’s Facebook page and start a conversation. Paris Retail Week is a unique opportunity for exhibitors and visitors to meet. This year Business Meetings, Speed Networking as well as recruitment sessions will be organised. The Business Meetings favour exchanges between exhibitors and visitors to find concrete solutions for business. A match-making platform informs the visitors beforehand of relevant contacts among the exhibitors at Paris Retail Week. Inspired by the speed dating model, the Speed Networking sessions are 5-minute meetings, bringing together exhibitors and visitors in a relaxed setting. Two Job Dating areas, in partnership with AZERTY Jobs by Maddyness and the digital recruitment agency Blue Search, will be publishing exhibitors’ job offers. They will also be organising meetings between the sectors currently recruiting and visitors in a convivial setting. Several times a day, recruiters will have a chance to talk with candidates. Another highlight of the three days, the Paris Retail Awards ceremony will reward the best innovations in the field of retail. These awards will enable service providers and suppliers to raise their profile, reward the efforts of their teams, initiate new contracts or raise funds. Once again, Paris Retail Week is organising free training programmes open to all visitors through MasterClasses, Academies and Solutions Workshops. The Twitter and Facebook Academies give the floor to two Social Network giants. Both sessions represent a fantastic opportunity for visitors to learn from the masters. The Solutions Workshops are short presentations (45 min) in which visitors can discover the best products and services on the market, as deciphered by exhibitors. This packed programme of conferences, Keynote sessions, training and business opportunities is what makes Paris Retail Week Europe’s leading retail event.